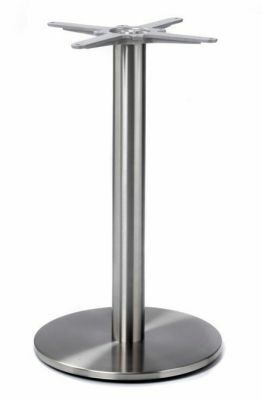 Stainless steel table base in durable Stainless Steel. Weighted cast iron base with cover. Available from stock for a fast delivery and suitable for use with table tops up to 800mm round or 700mm square. 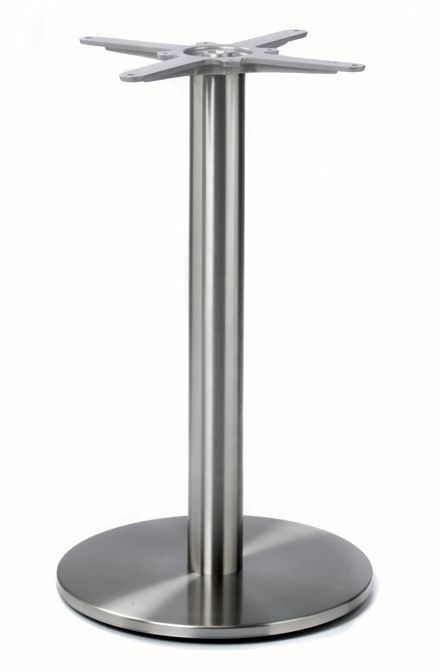 These designer, stainless steel, café table bases suitable for heavy duty commercial use. Conveniently these table bases are held in stock for a free and quick delivery.